SYDNEY: Pakistan team is still looking for the right combination as they prepare for their high-octane opening clash against arch-rivals India on February 15. 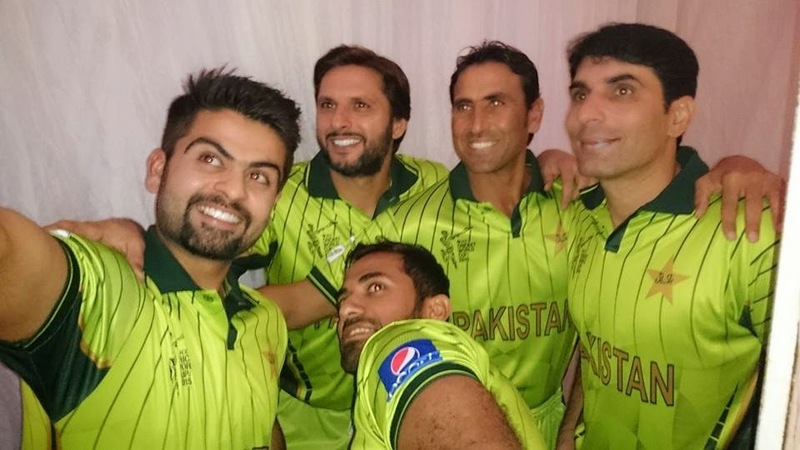 As per my opinion being a great fan of cricket, Pakistani team combination for world cup 2015 is too weak. The coach of the team Waqar, gave positive comments about the team combination and spirit. Waqar said that our neighbor country is always given us hard time and this time we will play with them with positive approach. By winning warm up match between Pakistan and England but it will enhance courage against India with more concentration. We are playing warm-up games from which can’t be concluded future results of winning but Pakistan bowling and fielding was good. Ehsan Adil bowled well; Misbah-ul-Haq destroyed winning 91 off 99 balls in 49.5 overs. Yasir taken three and Sohail khan got two wickets in balling. Before the day comes we still require making a proper planning for our match with India because it needs to be more planed. Pakistan has four great bowlers as per performed past two ODI’s with New Zealand. Haris sohail will support it. Pakistan warm up matches has boost up team’s concentration. He said things are going good and it will take us to win this series in future. In few past years our performance was not appreciable but winning is now important for our player’s attitude. Here pitches are favorable for fast bowlers. He further added that our young team players are fully prepared included Umar Akmal and 'Messi lookalike' Yasir Shah. Yasir shah plays well and he is also good in filed and bating. That’s why he is a part of our team here and also played well in last year test matches and umar akmal is a good player and performing for Pakistan for six years. Cricket is a game where anyone can win it all depends on team’s performance is favorable and we can win again as in 1992.